Our global customers come to us not only for our quality and price, but also because of our quick lead times for producing any sized wire straightening die. Bridge Tool & Die, Inc. manufactures excellent wear resistant wire straightening dies for your wire drawing operation. Our global customers come to us not only for our quality and price, but also because of our quick lead times for producing any sized wire straightening die. 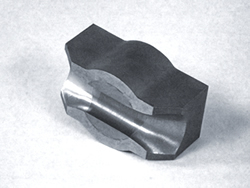 Our tungsten carbide dies provide excellent wear resistance in a variety of sizes for your wire and tube drawing processes. If you are looking for a quote on your dies, fill out the form below and we will be happy to quote your parts! Are you interested in learning more about carbide wire straightening industry? Contact us and we'll be happy to help!